The meeting was organised by the Federal Department of Foreign Affairs (FDFA) of Switzerland. 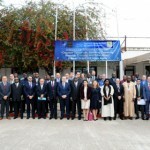 It aimed to enhance counter-terrorism coordination and help to harmonise activities of the various actors in the implementation of the UN Counter-Terrorism Global Strategy, as well as to highlight the role played by the UN and the international, regional and sub regional organisations in the fight against terrorism and other transnational criminal activities. 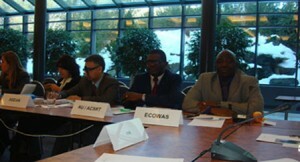 About 100 experts from the GCTF’s Member States, the UN, and 9 regional and sub regional organisations were represented. 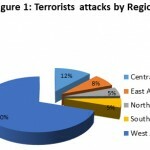 The African Union was represented by its African Centre for the Study and Research on Terrorism, based in Algiers. 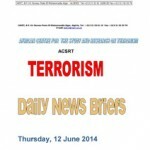 The ACSRT/African Union delegate, Colonel Christian Emmanuel MOUAYA POUYI, Specialist on Alert, Prevention, Analysis, Studies and Publication, delivered two, herewith attached, statements on Counter-Terrorism Capacity Building in the Sahara and Horn of Africa Regions. Discussions focused on how to manage the relationship between the GCTF and the organisations actively taking part in counter-terrorism, particularly the UN and the regional organisations. 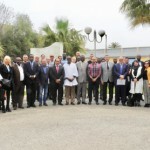 Participants admitted that to eliminate the breeding grounds of radicalism and terrorism, the strengthening of the rule of law and criminal prosecution, as well as the promotion of peace, human rights and democracy and other national and international requirements have, amongst other taken measures, to be done equally and harmoniously under the guidance of the UN bodies in charge of countering terrorism and the UN Global Strategy. The international, regional and sub regional bodies, in compliance with the UN bodies, supplement the CT action, considering the identified specific challenges and needs in their respective geographical areas. The GCTF plays as a platform for the sharing of information, resulting from the activity of its 5 Work groups amongst UN and international, regional and sub regional organisations, involved in Counter Terrorism. The GCTF was founded in New York in September 2011. It comprises 29 member states from all continents, plus the EU. Its activity aims to strengthen and supplement the already existing international activities, by coordinating and helping to build appropriate response where required. Its coordination committee is co-chaired by the USA and Turkey, and it comprises five workgroups: criminal justice and rule of law in counterterrorism, Prevention of violent extremism, Sahel region, Horn of Africa, and South-East Asia.